I fished the Haughton twice yesterday! First in the morning with Jake, and then again later in the day with my old mate Christian. The morning session was pretty good, we started off early putting the boat in Doughboy Creek right on the high tide at 6am. We headed straight to the flats at the mouth hoping to pull a fish off the many snags that sit up on the sand. But that wasn't working so we moved over the one of the mangrove edges nearby. The tide wasn't really running yet, and the fishing was slow. I spotted some bait on the sounder that was hanging deep in the 4m of water off the edge. So out came the Thready Busters and Trans Am's. I missed a good hit, but Jake soon nailed one! A fight like a Jack, but turned out to be a nice Fingermark. We couldn't find the school again, so we moved back to the mangroves. A couple of prominent sticks in the current were holding good bait, and we soon had a couple of near misses from rat Barra. Then Jake finally pinned one! A little fish about the 55cm was photographed and sent on his way. The water where we were fishing was only 1-2m deep on the mangroves, so we decided to look for a better stretch to work. We moved to the front of the Haughton where we have had some success in the past, but despite good looking water and plenty of bait we only managed a couple of missed strikes. This is when we decided to make bigger move up toward Burrumbush. The bank we wanted to fish looked good. Nice clear green water and just the right depth over the timber. But the current was now racing. We gave it a go anyway, but our lures were in and out of the structure pretty quickly. But we found a section of the bank were the water slowed a little and fish were keen. In a fairly short time we managed to boat half a dozen rat Barra and a couple of undersize Jack. 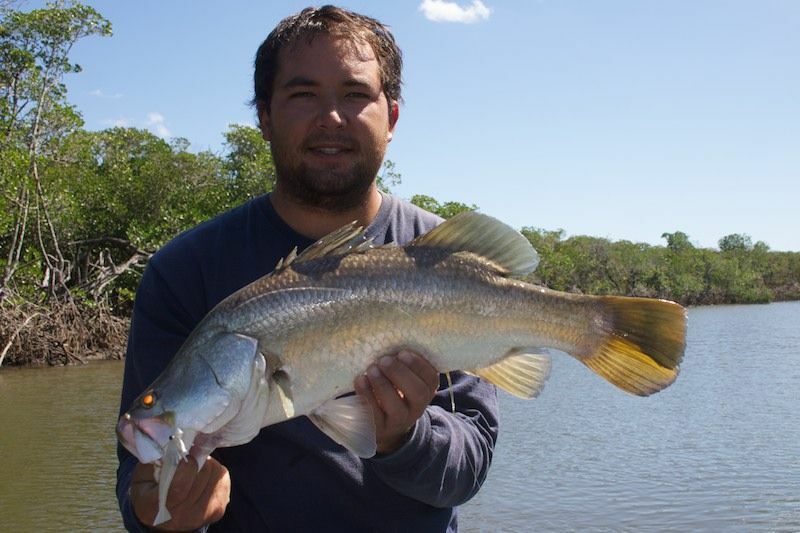 None of the Barra went any more than about 55cm. But a bit of consistent action was nice on the light lines. Eventually the wind came up and the water dropped too much and we had to move yet again. This was our final stretch to fish for the morning as I had to be home about 12. Again it looked good with clean water and lots of bait. 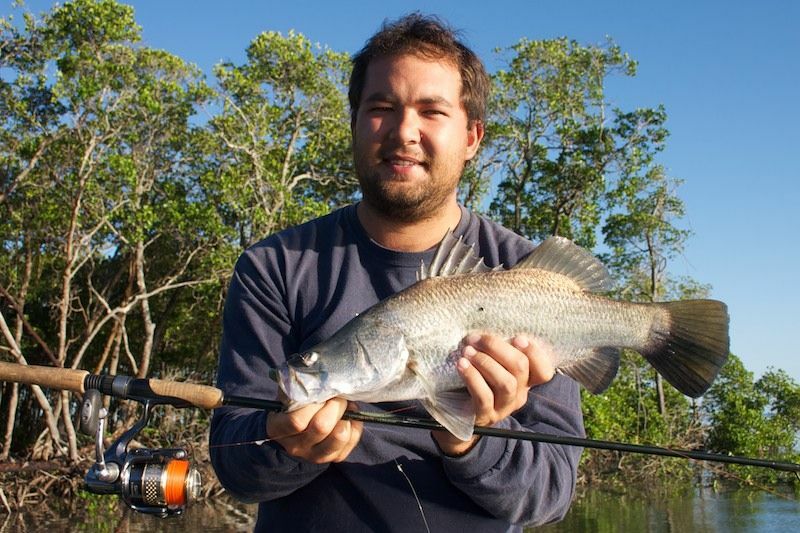 We soon found the barra were again keen and consistent. As we worked along this bank we progressively added to our morning tally and eventually managed to find a couple of fish that went just over the 60cm mark. 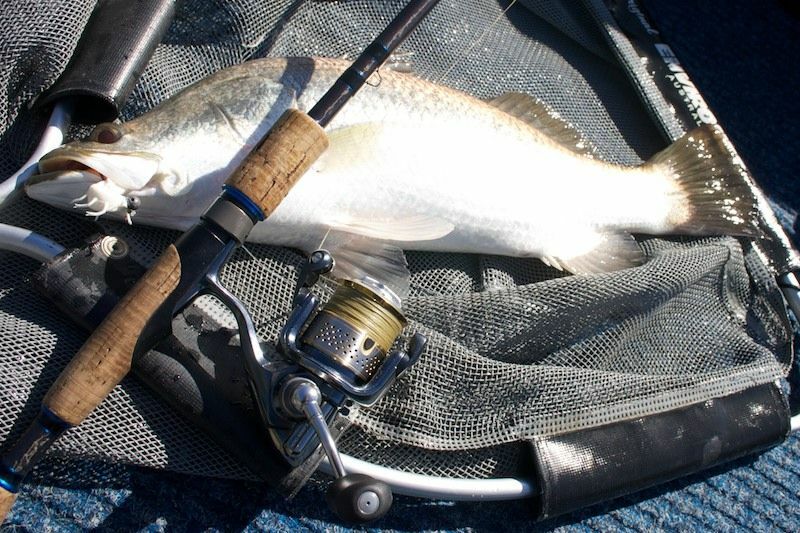 In total we would have boated near on 20 fish for the short morning session, the majority of which were Barra in the 55cm range. Jake definitely out-fished me in every way! Easily catching 2:1 on my, and getting the biggest fish of the day too! Full credit to him, he had a great morning. I fished my 3in prongs all morning on the Stella 1000fe and 8lb braid. 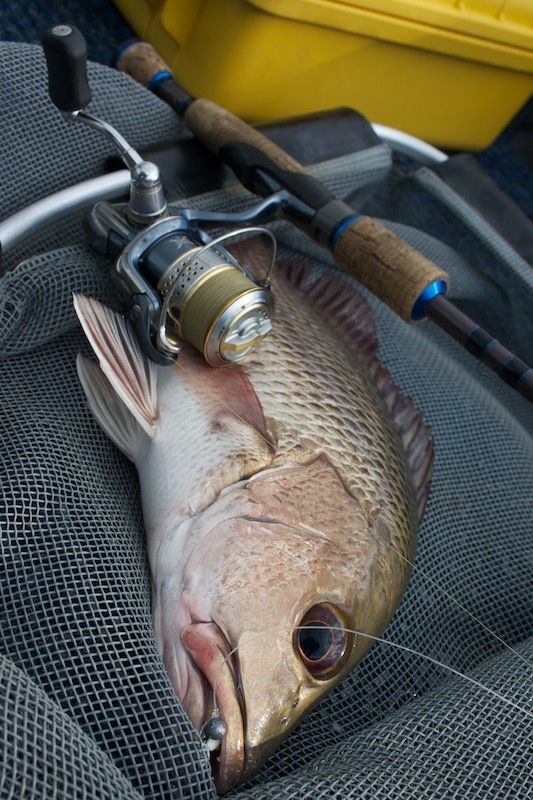 Almost all Jakes fish fell to a DOA prawn fished on a Stella 2500 and 4lb. Later that day I returned with Christian. This time I launched at the Cromarty ramp and headed upstreem. I was hoping to find some bigger fish higher in the creek. But the water was muddy and I really didn't have a good feeling. We gave it half an hour and the I pulled the pin. We headed back to the mouth and the closer we got the better the water looked. The tide was now well on the way back in and the water looked great. We worked the same edge as this mornings outgoing tide and managed a couple of stikes and a solid bream. Our final stretch of water look beautiful. It was now very clean and green with the last of the incoming tide. Some fresh fallen timber looked very fishy indeed. 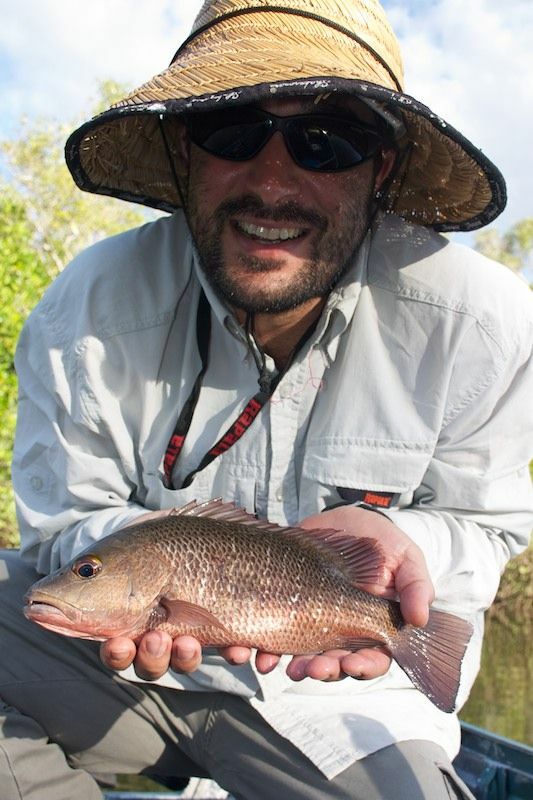 Along this stretch we managed another bream, a small Barra, an a couple of Jack that included one 43cm specimen. I'm not a bit fan of the incoming tide for casting lures, and it wasn't anywhere near as good as the mornings fish, but I was quite happy with our efforts. Strikes were consisten enough to keep us going. 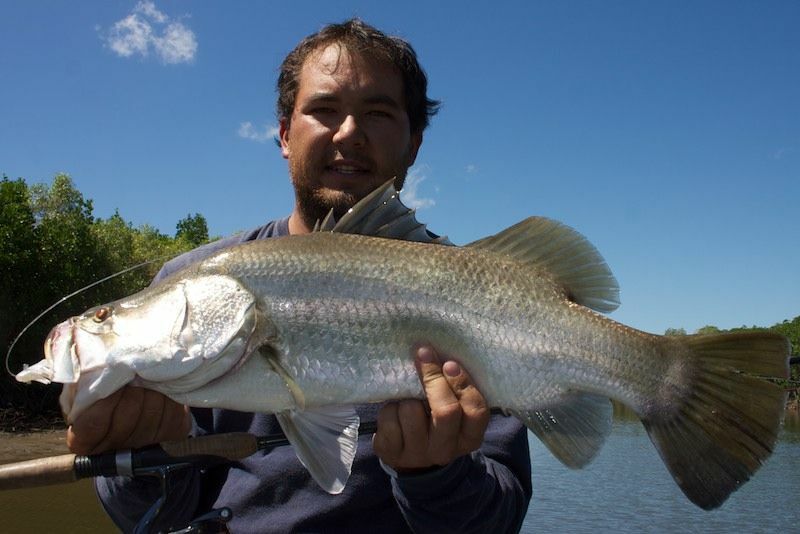 The bigger Barra still eluded us though. 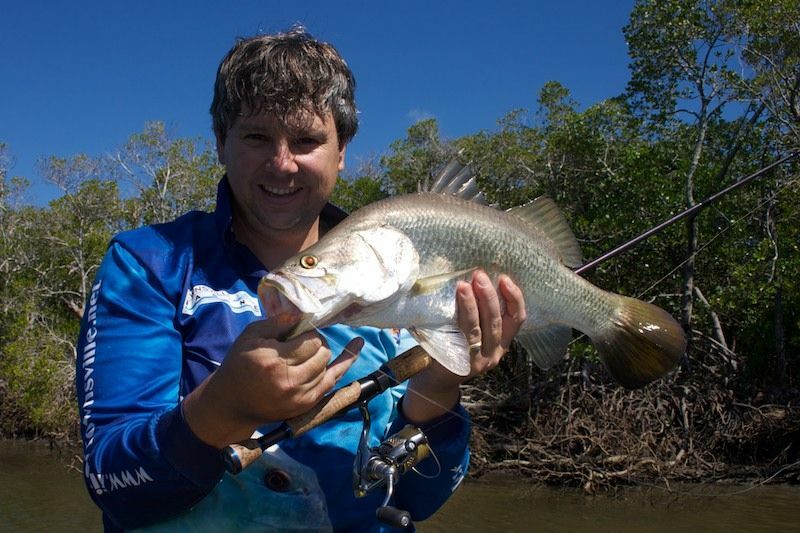 I have a Hinchinbrook trip planed with Knighty for later this week. So keep an eye out for plenty of photos and some video later in the week.